At Zenith Dental, Teeth Straightening and our other Orthodontic Treatments are led by our Aesthetic Dentist, Dr Edward Young at our private dental clinics in Nottingham and London. 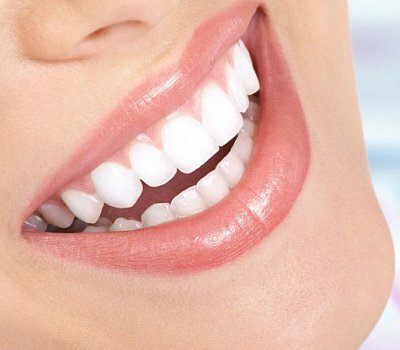 Teeth straightening is used to improve the appearance, position and function of crooked or abnormally arranged teeth. As part of our dental straightening service in London and Nottingham, we offer Invisalign, CFast, Inman Aligner and Six Months Smiles; all of which aim to straighten the teeth and move them into a better position. During your initial consultation we will look at the results you want to achieve so that we can recommend the best teeth straightening service for you. Take a look at the information below to see what’s involved as part of each of our teeth straightening procedures and see how we can help you achieve the smile you deserve. Many people have crowded or crooked teeth or, their teeth don’t meet correctly when they bite. These problems can mean that the teeth are more likely to become damaged or put a strain on jaw muscles. This is in addition to any cosmetic concerns regarding the appearance of the teeth. Teeth straightening itself is a cosmetic dentistry procedure used to correct the position of your teeth. Here at Zenith, we offer a range of teeth straightening procedures including Invisalign, CFast, Inman Aligner and Six Months Smiles. Our dental team work with you to recommend the best teeth straightening service to give you quick straight teeth, and work towards achieving your dream smile. Every single smile is unique, and yours is no different. Book a consultation so that we can discuss your needs and requirements. Crooked and misaligned teeth can have negative impacts on an individual's confidence and self-esteem, which over time can have a detrimental impact on their everyday lives. At Zenith, we believe that everyone should feel happy and confident in their own skin and simple teeth straightening procedure can help you to feel this way. Not only can a crooked smile affect your self-image, but misaligned teeth can cause jaw issues, unhealthy oral functions and even affect your day-to-day eating and speaking. When left, these issues can escalate and cause you many issues down the line. Don’t compromise on your health or your confidence, let Zenith help you through our range of teeth straightening procedures in Nottingham and in London. The size, shape and positioning of your teeth is down to a combination of inherited and environmental factors. Regardless of the reasoning, a misaligned smile can have negative impacts on your happiness and your life. Because every smile is slightly different, this means the course of treatment is bespoke to the individual. To decide whether or not teeth straightening is for you, book a consultation for your teeth straightening surgery so that we can recommend the best procedure for you. Get started on your journey towards your dream smile today with Zenith. Your exact treatment will depend on the current problems with your teeth. The length of any treatment is usually between 3-18 months. We do our very best to get you quick straight teeth. Invisalign is a teeth-straightening treatment available in Nottingham and London. It works by straightening teeth using a series of nearly invisible, removable aligners that are custom-made specifically for your teeth. As you replace each aligner every two weeks, your teeth will move – little by little, week by week, gradually moving towards the projected final position. The treatment time for Invisalign is typically between 6 and 18 months. You can read more about our Invisalign treatment here. Cfast is a simple, gentle, minimally invasive cosmetic treatment that corrects alignment issues with the top and bottom front six teeth, and can level and round out the arches, thus satisfying the needs of the vast majority of adult patients who seek orthodontic treatment. Cfast, as the name suggests is quick teeth straightening procedure and you should see a significant improvement in your smile in just 6 months. The Inman Aligner is a single appliance that can be removed and inserted easily. It can be used to quickly align teeth either as a standalone treatment or before aesthetic or restorative treatment. This revolutionary treatment can be completed in as little as 6 - 16 weeks. However, it is worth bearing in mind that this particular teeth-straightening procedure isn’t for everyone, it’s only suitable for mild orthodontic problems affecting front teeth. Whilst it isn’t as discreet as Invisalign, it is an extremely fast-acting treatment. Six Month Smiles is a clear brace that's designed to straighten your front teeth in around six months. The treatment involves the fitting of tooth-coloured brackets and wires that remain largely unnoticed during treatment, making this a popular choice. The procedure involved in Six Month Smiles help to correct the positioning and alignment of teeth when smiling, and unlike alternative teeth straightening procedures, the time needed to correct the teeth is much shorter. Again, this depends on the treatment you receive, but generally, the risks associated with cosmetic dentistry are minimal. Side effects can include a small amount of discomfort, swelling or pain from the anaesthetic, but your dentist will work with you to minimise any discomfort.